Testing blogging from my iPhone, sorry if the format is off - hope it works nicely! What can I say? The clouds are just amazing! So unbelievable curves and twists! You live in a beautiful place, thanks for sharing! Great shot!! 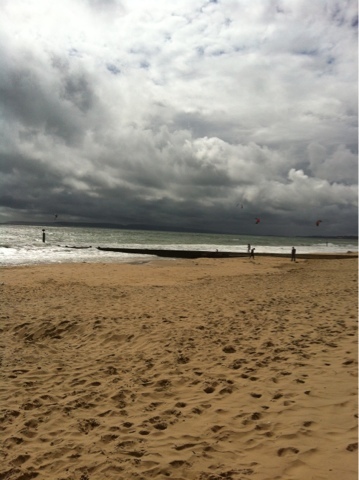 I went to the beach as well but no rain in site!